It was called PMT, but the college students who traveled with my family jokingly called it, “Pretty Miserable Traveling.” I was very young at the time and I absolutely loved it. I didn’t care if we waited for 6 hours in a crowded airport in Mexico City or had an 8-hour bus trip to take down through Honduras. 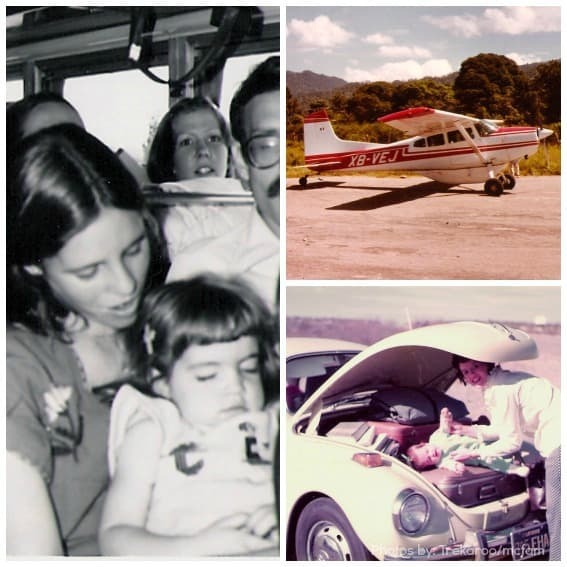 It was all adventure for me and I loved traveling with my mom and dad. My parents were leaders on PMT (Practical Missionary Training) and they would take college students to Mexico and Central America for 6-8 weeks each summer to teach them how to be missionaries. Being an only child, I instantly had 20 or so older brothers and sisters who climbed trees and played games with me. 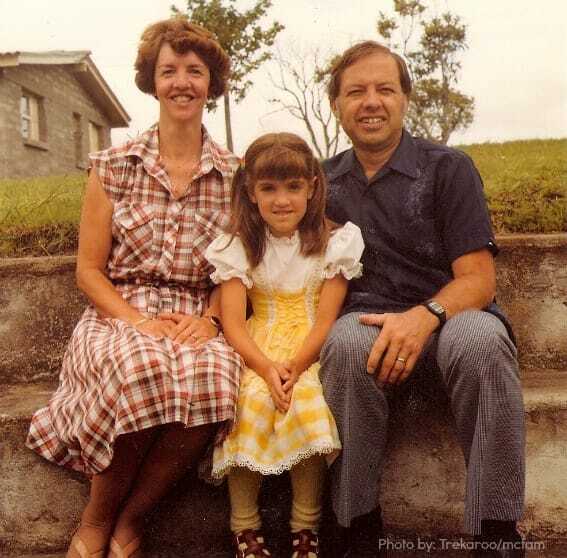 We stayed with other missionaries in country who had kids my age who I loved playing with. But some of my best memories of that time were exploring with my mom when my dad was teaching a class, and hunting frogs with my dad in the dark, tropical evenings. My mom and I would search for onyx stones in a creek in Honduras, or climb to the rooftop of the dormitory in Puebla, Mexico. Traveling with them wasn’t luxurious. We ate peanut butter and raisin sandwiches and swatted mosquitos in the hot buses. But I still learned to love traveling, mostly for the enjoyment of time together. Plus the fact that my dad has an undying positive attitude towards everything in life. His favorite saying he would teach the college students was, “It’s just the way I like it!” I figured out as an adult that even though that might not be a true statement (especially when eating PB & raisin sandwiches with a hot cola), it is a great attitude shift that can turn a miserable day into a slightly better one. 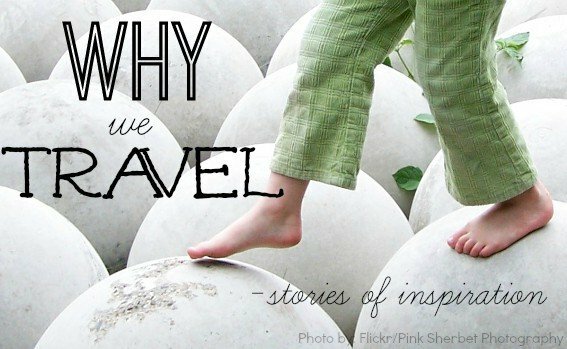 Now that I’m married and have four kids of my own, I really do not prefer to travel the way I did as a kid. I don’t relish sitting in bus stations smelling gasoline fumes, or trying to sleep in a rocking train while sweating through my clothes. I think I would still love to fly in the little MAF airplanes because I can’t get enough of looking out at the country, laid out like a map. Today, I like our cozy, albeit French-fry smelling, dirty minivan with its comfortable seats, air conditioning, and the freedom to go on our own schedule. Driving through In-N-Out is much better than PB & raisin sandwiches! The reason we travel today is to capture what was so important to me as a young child: time together. I’ve noticed how much easier it is to talk to my kids (especially my teen) when we are doing something side by side, even driving in the car. We sing to our favorite songs on the radio, talk about the weather, and look at the boring museum displays together. When we sit down to dinner or play a board game at a hotel/campsite/grandparent’s house, the strings of fellowship are tied to each other and I feel joy welling in each of our hearts. It makes any “pretty miserable traveling” worth it. Thanks mom and dad for being amazing parents, loving God with your whole hearts, and for taking me everywhere with you. And thanks for reading all my posts on Trekaroo. 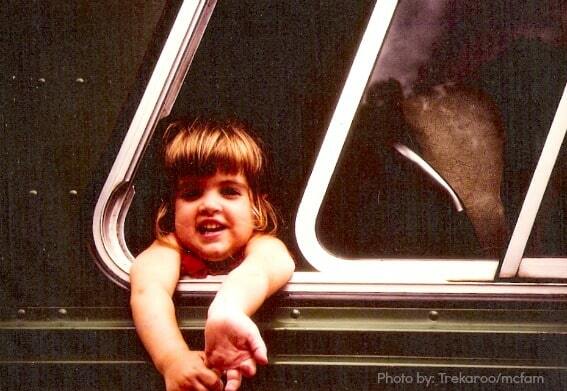 What a wonderful childhood traveling with your parents! And now you get to travel with your children. Thanks for sharing! Love!!! I cried. I smiled. I loved it. Enjoyed reading your fun memories, having been on the receiving side of them. And yes, time together is definitely a good reason to travel. I remember Ken saying, “We never travel 2nd class…. maybe 3rd or 4th class though!” When I read your memories, I realized that I need to get those PMT slides put onto a DVD! Treasured memories indeed! Thanks for sharing Michele! Love your story! I would love to add missionary adventures to my children’s memory banks.